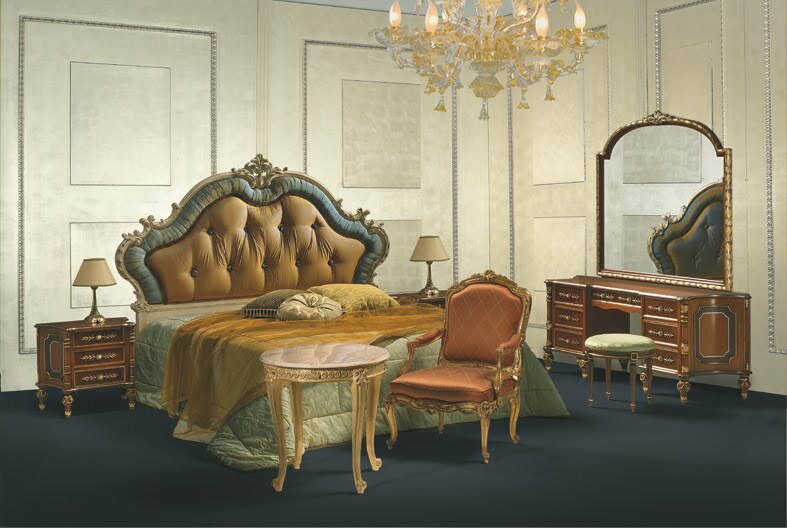 A harmonious and precious elegance of this royal bedroom , Which joins the rich sumptousness of the Rococo Bedroom furniture ( 1740 - 1775 ) to the clean refinement of the furnishings . 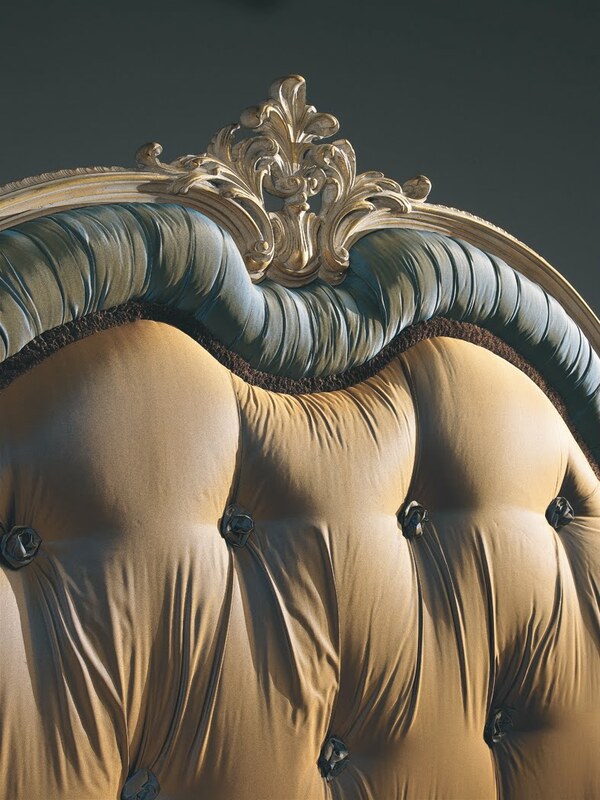 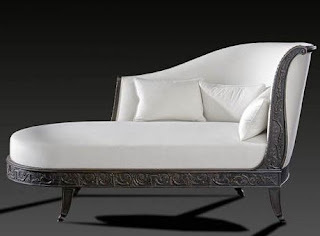 The finely hand - carved out of solid wood elements reach their highest splendour in the head of the antique bed , which is furthur on enriched with golden and turquoise silks. 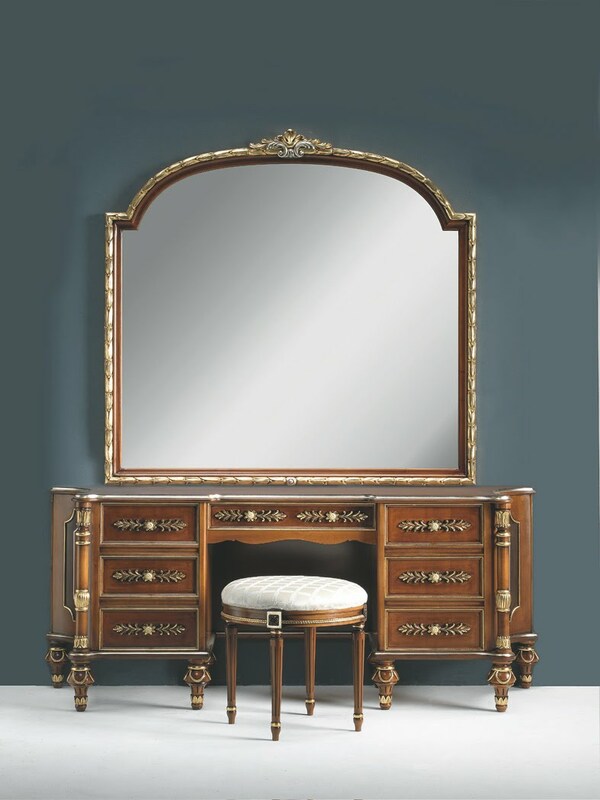 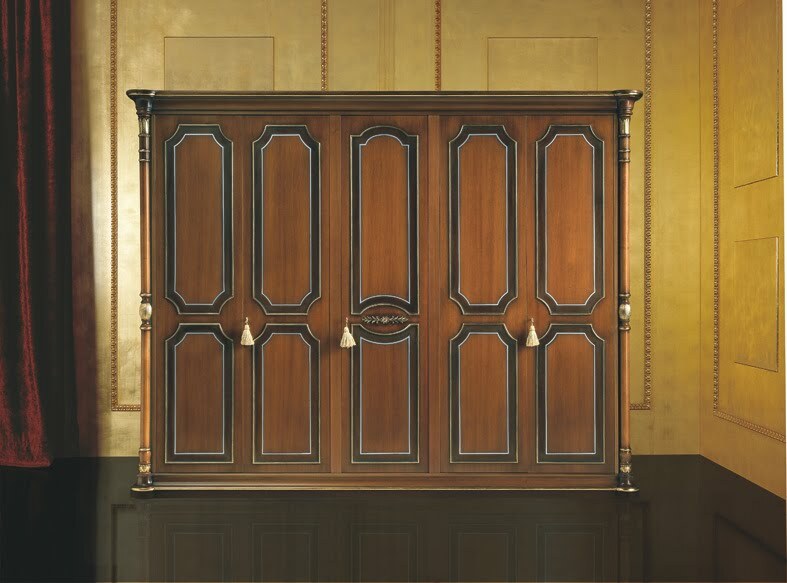 The fine linearity of the Italian mirror and of the table with pink Portuguese marble gives supreme elegance to the room , while the polished austerity of the six doors wardrobe completes the harmony of this model. 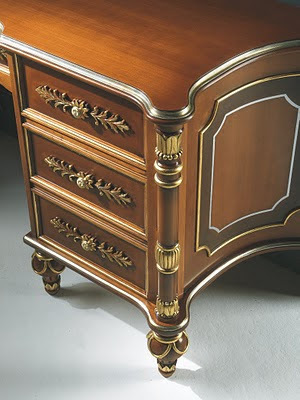 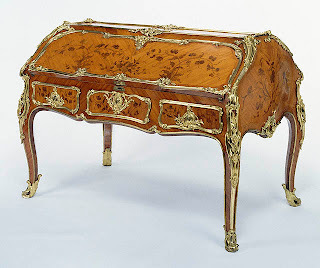 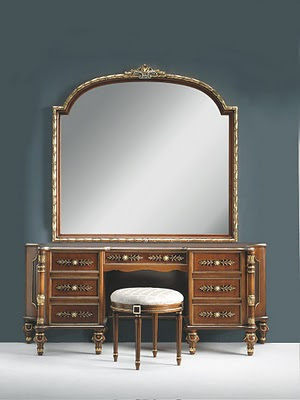 Furniture murcia How a proper coordination between the craftsman, decorators and the manufacturer can create magic, is well represented in the pictures of these furniture pieces.